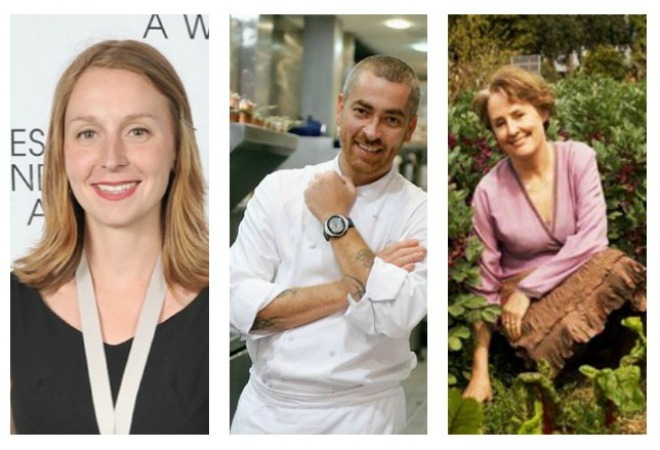 The chef lecturers (from left to right): Christina Tosi, Alex Atala, Alice Waters. Put your study caps on, UCLA announced this morning that public tickets for the university’s Science and Food lecture series are now available. The second-annual campus lecture series—taught by food scientist Amy Rowat— is part of a unique UCLA undergraduate course, and takes place from April 17 through May 19 at various campus locations. Last year’s high-profile speakers included culinary masterminds such as David Chang of Momofuku, Sherry Yard of Spago, Rene Redzepi of Noma, and surprise guests Jon Shook and Vinny Dotolo, amongst others. Among this year’s scheduled guests are Brazilian chef Alex Atala, whose restaurant D.O.M. was recently named the fourth best restaurant in the world by S. Pellegrino’s Worlds 50 Best Restaurants. Chez Panisse legend Alice Waters will discuss the importance of changing how we eat on campuses, and pastry masters Christina Tosi of Momofuku Milk Bar and our own Zoe Nathan (Rustic Canyon, Sweet Rose Creamery, Huckleberry, Milo & Olive) will chat about desserts and pie. You know, for science!